Lucas Spadano heads Fialho Salles Advogados’s IP and international trade practices. His joint expertise and experience in trade and competition regulations and intellectual property are an important differential, particularly in the context of mandates involving international aspects of IP protection and negotiations, as well as the interface of legal and economic aspects of intellectual property. He was a founder of the firm’s IP practice in 2008 and has since then developed an extensive track record of successful IP transactions, prosecution and litigation. In the area of trademark and copyright disputes, he has obtained successful results in complex cases involving major market players, such as Petrobras, Adidas, Universal Music and Vinho Verde wines from Portugal. Mr Spadano’s current key clients include Innovative Seed Solutions (ISS, a seed technology JV between Monsanto and Remington), Criteo (the online advertising platform), CSEM (a leading institution in the field of nanotechnology), Sandvik (an engineering group in tooling, materials technology, mining and construction), SumUp (a leading payment processing company), SUNEW (an innovative company focused on organic photovoltaic solutions), CNI (the Confederation of the National Industry in Brazil), UNESCO and several software companies. He is the author of several publications in the fields of international trade and intellectual property. In 2018, he was a guest speaker at the World Trade Organisation (WTO) Public Forum, where he discussed the role of trade and IP rules in the promotion of cross-border knowledge flows. Mr Spadano joined Fialho Salles in 2005. He worked at the Brazilian Delegation to the WTO in Geneva and at the Dispute Settlement Unit of the Ministry of Foreign Affairs in Brazil in 2006. 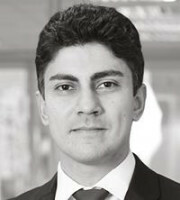 In 2012 and 2013, he worked as an associate at the London office of Freshfields Bruckhaus Deringer LLP. Mr Spadano is a PhD candidate in international law at the University of Sao Paulo. He holds an LLM (with merit) in international business law from the London School of Economics (LSE) and was the winner of the LSE Lawyers’ Prize for best LLM dissertation. He also has an MBA from the Fundação Dom Cabral, an LLB from the Federal University of Minas Gerais and a BA in international relations from the Pontifical Catholic University of Minas Gerais.